Not every cat can find a forever home. If every cat had a warm, loving family to snuggle up with every night, life would be grand. But the truth is, not every cat is meant to be in a house, living in close proximity with people and children. The Humane Society estimates there are 30 to 40 million feral and stray cats. Most of these are not accustomed to human contact and usually too fearful to be handled or adopted. They are not good candidates for family living. However, many of these might make good barn cats. Barn Cats, Inc., out of Lewisville, Texas, is one organization actively relocating feral cats as barn cats. They find suitable locations such as a farm, horse stable, warehouse, plant nursery or other outdoor location where the cats roam free, keeping the rat, mice and snake population down, in exchange for a safe home. If you’re not near north Texas, their site has a listing of other barn cat organizations. 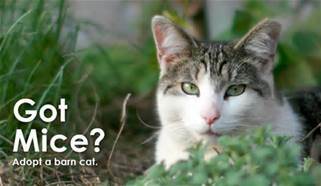 While different groups may have their own qualifications, Barn Cats Inc. primarily accepts feral cats, not friendly cats suitable for pets, from urban situations where they are in danger. The cats must be at least eight months old. Preference is given to cats that are threatened by poisoning or shootings, hoarders, and other similar serious situations that require immediate attention. 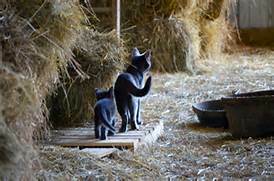 If the cats come in together, Barn Cats, Inc. places them together. They feel the cats have a better stay rate if they have friends or family with them. So, as much as I’d love to take in every cat or kitten I could, it’s not feasible. Other options are out there though – rehoming some feral cats as barn cats is one of the choices. Abandoned kittens continue finding their way to Trisha’s north Texas home. After Scooter and his two sisters were saved from a feral life, she thought that was the last of the new arrivals. 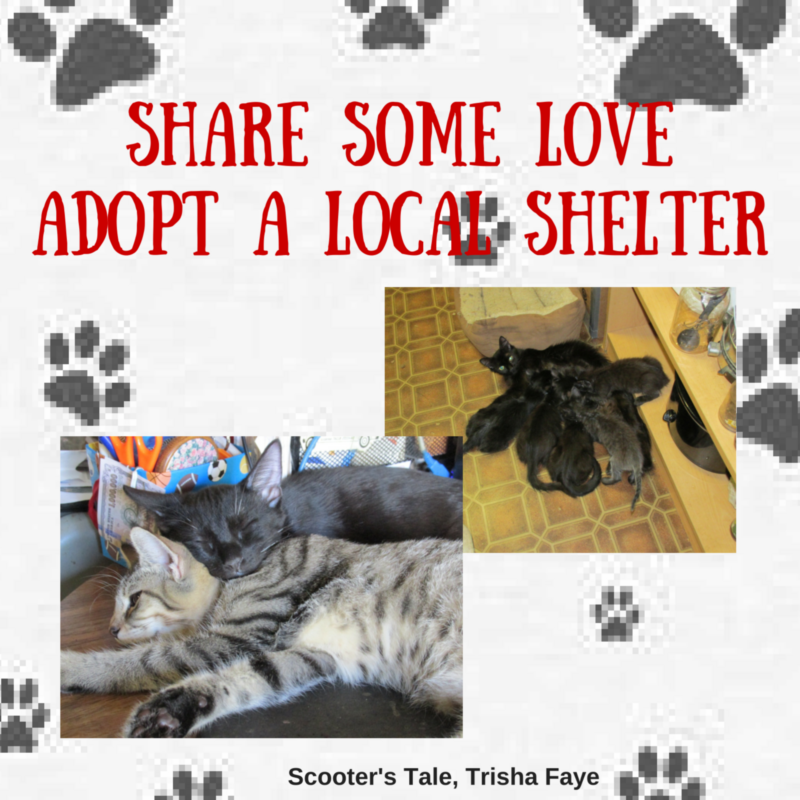 (They share their story in Scooter’s Tale.) But…after that came Jasper, and then Onyx. This past April little Piper joined the family after her feral Mama moved the kittens before a big storm, but didn’t come back for Piper. A month later Onyx’s sister, CeeCee, walked in the house (very pregnant) and hasn’t left, even after giving birth to six coal black kittens – who now rule the household and think they’re related to gray tabby Piper. Once upon a time … a three week old feral kitten was abandoned by its mother. This fairy tale could have had an ugly ending. But it wouldn’t be a very good fairy tale without a happily ever after ending, would it? Enter a bit of magical luck – the little kitten (one without mittens) was rescued. He found a new forever home, in the midst of a family filled with other rescues. A bought of calicivirus in the feline family almost caused a totally different ending. Fortunately the cats only lost one of their nine lives and Scooter lived another day. He tells the tale of his life, dictating his words to Mama Pat, who transcribes his story to bring it to others. Tips for caring for young kittens and information about feral’s and calicivirus is included in this ebook. 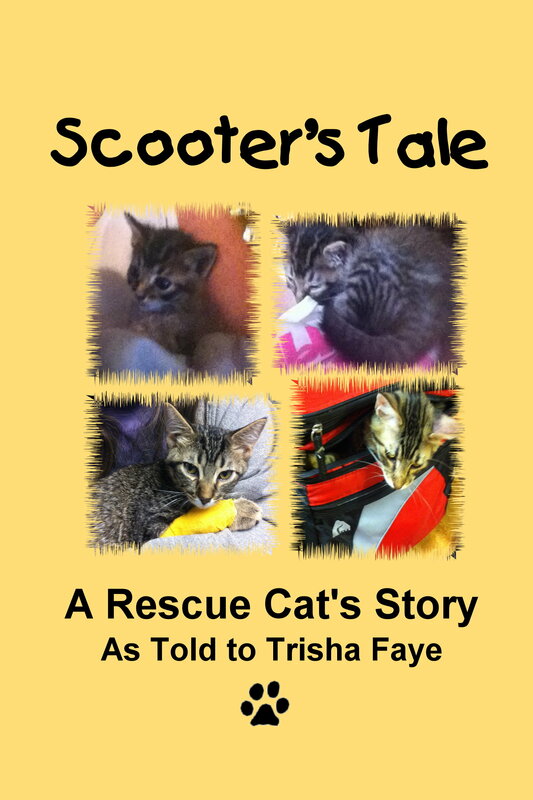 100% of the author’s proceeds of this story goes to help other rescue kittens and cats. Half of the profits remain in the DFW Metroplex area while the other half go to Cats of Angel’s Meadow, in Kentucky.